» Dodger Dogged: How Don Mattingly Has Shaken Off the Critics and Embraced the Challenge of Managing in L.A.
Dodger Dogged: How Don Mattingly Has Shaken Off the Critics and Embraced the Challenge of Managing in L.A.
Don Mattingly committed his first managerial miscue before he officially become an MLB skipper. On July 20, 2010, the then–Dodgers hitting coach stepped in for ejected manager Joe Torre. With L.A. nursing a 5-4 lead in the top of the ninth, Mattingly walked to the mound to consult with closer Jonathan Broxton, who’d loaded the bases with one out. After exchanging a few words, Mattingly started back toward the dugout, but a half-second after stepping off the mound, he popped back up to answer a question from first baseman James Loney. Giants manager Bruce Bochy, arguably the best field general in the game, pounced: He noted that Mattingly had technically made two mound visits, which forced the Dodgers to pull Broxton from the game. With no one warming in the pen, Mattingly turned to ice-cold lefty George Sherrill, and two pitches later, Andres Torres lashed a two-run game-winning double, putting a costly blunder on Mattingly’s managerial CV. 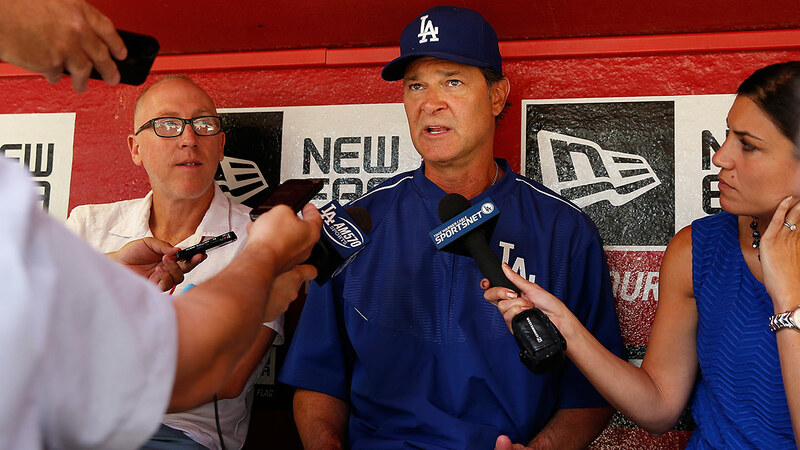 First impressions tend to linger, and when Mattingly took over as manager in 2011, his in-game moves quickly became a cause of conversation and consternation for Dodgers fans. That quickly turned into an avalanche of media columns, anguished fan posts, and ranting Facebook pages predicting, or calling for, Mattingly’s ouster. 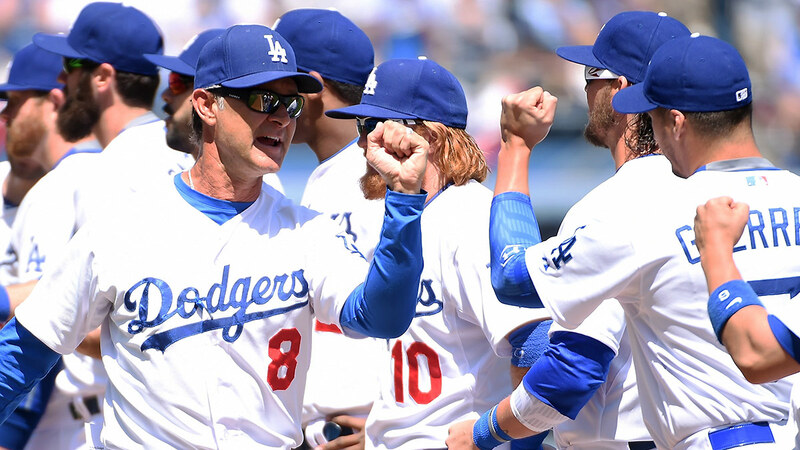 Mattingly may not be a gifted tactician, but he also may not need to be. With expectations in L.A. as high as ever, Donnie Baseball has shed light on the evolving role of the modern manager by being able to survive, if not thrive. Mattingly was a six-time All-Star as a player and won the 1985 MVP, but the success to which he’d grown accustomed as a player was initially hard to come by as a manager. Before taking over for Torre, Mattingly’s managerial experience consisted of missing out on the Yankees and Indians jobs, some post-ejection spot duty, and a stint in the Arizona Fall League. Initially, his L.A. tenure was rife with mistakes. Analysts started calling him Donnie Buntball because of his fondness for sacrificing; the Google search for “Don Mattingly double switch” started populating page after page of articles calling out the manager for his puzzlingly frequent reliance on the tactic. Mattingly learned on the job, but at least he did so for a mediocre team. The 2011 Dodgers received an MVP-caliber performance from Matt Kemp and a Sandy Koufax–like year from Clayton Kershaw, but they also squandered an ungodly number of at-bats on replacement-level players. Their owner was the abysmally bad and perpetually broke Frank McCourt, and their general manager was Ned Colletti, who did such a lousy job getting the most out of a mid-tier payroll that one of his most enduring legacies is a slideshow of his worst signings. The Dodgers went 82-791 in Mattingly’s first season, but the expectations changed dramatically along with the evolving roster and clubhouse in August 2012. Just before that month’s waiver trade deadline, L.A.’s new ownership pulled off one of the wildest trades in baseball history, acquiring Adrian Gonzalez, Carl Crawford, and Josh Beckett from the Red Sox — declaring its intention to do business in a different way. Despite Guggenheim Partners taking on more than a quarter-billion dollars in salary commitments, though, the fortified Dodgers went just 17-18 down the stretch, finishing eight games out in the NL West and missing the playoffs. The Dodgers rallied, going a blistering 75-45 to close out the season and storm into the playoffs. An influx of talent helped spark that run, with 2012 trade-deadline pickup Hanley Ramirez emerging as the team’s best hitter when healthy, newly signed $147 million man Zack Greinke pitching outstanding ball, and rookies Yasiel Puig and Hyun-jin Ryu emerging as key contributors. But that wasn’t all: The players also grew to appreciate Mattingly’s even-keeled approach, particularly as the pressure mounted and his job hung in the balance. Mattingly’s approach to relationship-building was shaped by his own experience as a player, when he served three separate stints under Billy Martin. While Mattingly appreciated Martin’s ability to be relaxed during spring training and then flip the switch come Opening Day, their time together wasn’t all smiles and sunshine, and Mattingly wanted to be a different sort of skipper. Of course, neither NL West titles nor his players’ love could totally silence the doubters, who gained new fodder in the 2013 NLCS. The Dodgers fell to the Cardinals in six games, but the series might have turned out differently if Mattingly hadn’t inserted a pinch runner for Gonzalez in the eighth inning of Game 1, which left the team shorthanded in an L.A. loss that lasted five more innings. The job security murmurs regained steam, particularly because Mattingly was set to enter the last year of his contract and assume lame-duck status. After surveying the managerial landscape through the winter holidays, however, the Dodgers decided to re-sign Mattingly, locking him up through 2016. With an MLB-leading $229 million Opening Day payroll, a roster loaded with big names, and a savvy new bench coach in Tim Wallach, 2014 seemed like the year it might all come together in a championship season. Instead, for the second year in a row, the Dodgers won the NL West only to fall to the Cardinals in the playoffs, this time in the NLDS. Once again, Mattingly’s decisions earned the most ink. The Dodgers pulled out to a 6-2 lead in Game 1, but Mattingly left eventual NL Cy Young and MVP winner Kershaw in too long: Kershaw’s pitch count wasn’t excessive, but it was a brutally hot day in L.A., with highs reaching 96 degrees. Unlike Kershaw, the Dodgers bullpen was rested. Mattingly left his starter in anyway, the Cardinals rallied, and Matt Carpenter delivered a three-run double to give the Cardinals a lead they would not relinquish. The Dodgers’ season ended that night in St. Louis. When they hired Friedman a week later, most assumed he’d look for a new manager following the crushing disappointment of another October letdown, one that happened in part because of Mattingly’s decision-making. Rumors swirled that Friedman’s old Tampa Bay running mate Joe Maddon might opt out of his contract with the Rays and head west. 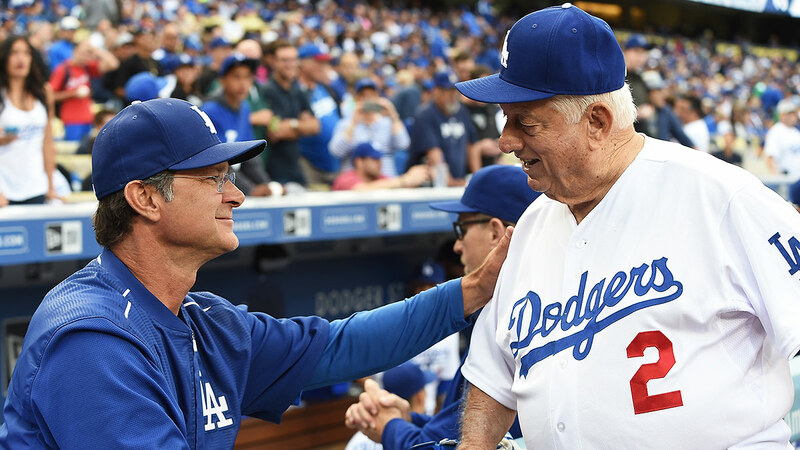 But in his introductory press conference, Friedman immediately squashed speculation that he’d pursue Maddon or anyone else, saying that Mattingly would “definitely” return as manager in 2015. During his time running the Rays, Friedman gained the reputation for making shrewd moves and properly assessing and addressing weaknesses without letting emotion cloud his decisions. In opting to continue with Mattingly, Friedman again exercised patience, while also showing that he understood the 2014 Dodgers. Yes, leaving Kershaw in too long twice in four games netted disastrous results, but that wasn’t all on Mattingly: The Dodgers bullpen consisted of Kenley Jansen and a pack of Skittles by that point in the season, leaving no desirable option for the seventh inning of either NLDS game, short of turning to the closer that early — something no manager in baseball would do at that point. Yes, benching Puig triggered a firestorm, but the team’s poorly constructed roster featured too many outfielders (but no true center fielder) thanks largely to Colletti’s nonsensical decision to give Andre Ethier an $85 million contract extension two years prior. Scapegoating Mattingly might have been tempting, but it wouldn’t necessarily have been fair. 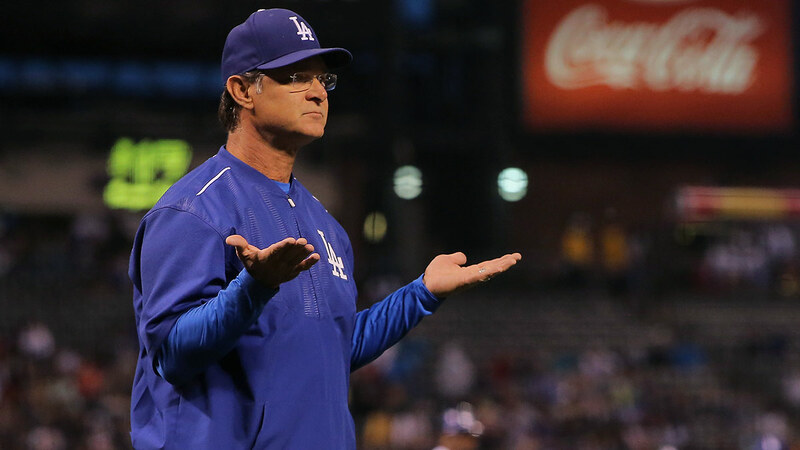 And there’s the rub: Mattingly might never be the kind of tactician that Bochy or Maddon is. But he now knows he can lean on Wallach to help with strategic moves, on pitching coach Rick Honeycutt to handle the arms, and on the rest of his staff to handle other fine details. Managing is also about being open to new ideas, and Knight and others credit Mattingly for soaking up discussions with Friedman and Zaidi about concepts like pitch spin rate in a way that other former stars turned managers might be less willing to do. And it’s about making sure the 25 guys in the clubhouse get along and stay sane, especially with the most mercurial of the bunch still in town after numerous offseason trades sent big personalities elsewhere. None of that’s going to be easy. Mattingly knows that the Dodgers expect to win, that spending nearly $300 million on payroll removes the luxury of excuses from the equation, and that even getting to the World Series might not be enough if he doesn’t win it all. But he’s up for the challenge. They played only 161 games because, with neither team in playoff contention, a September rainout against Washington wasn’t rescheduled.